If you have ever liked Mad Max 2, or any of its numerous offspring, then give this a look. 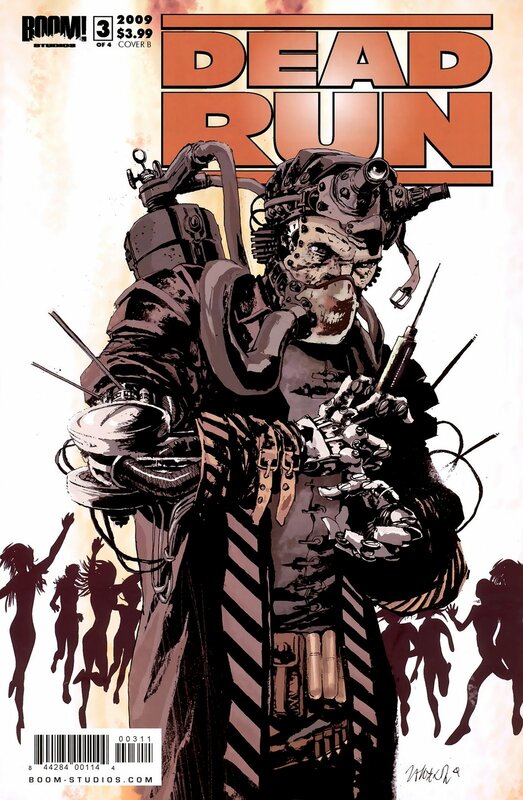 It takes the fantastical elements of the post-apocalyptic genre – the shanty town communities, the customised vehicles, the outlandish desert warrior outfits – and wrap them around a slender story with generic ideas (in this issue, women held in cages for breeding purposes escape and attack their jailer!). A limited series, and it’s due to end next issue, and that is a shame, as I will quite miss the Saturday Morning Serial-ness of the cliffhangers (“only one radiation suit – but OH NO! there’s two of us! !”) and the silliness of it. Comics like this deserve a chance, and I am glad they are around to put a little extra colour into the medium.